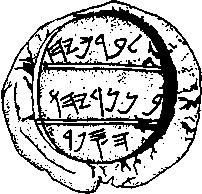 Baruch Seal in the ancient Hebrew language is a form of Yahweh (God). The name Baruch means "the blessed." Berekhyahu means "the blessed of Yahweh." Baruch is mentioned in Jeremiah 36:1-4: "Now it came to pass in the fourth year of Jehoiakim the son of Josiah, king of Judah, that this word came to Jeremiah from the LORD, saying: "Take a scroll of a book and write on it all the words that I have spoken to you against Israel, against Judah, and against all the nations, from the day I spoke to you, from the days of Josiah even to this day. 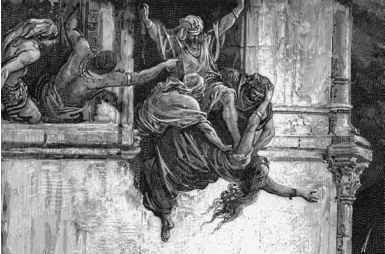 "It may be that the house of Judah will hear all the adversities which I purpose to bring upon them, that everyone may turn from his evil way, that I may forgive their iniquity and their sin." "Then Jeremiah called Baruch the son of Ner-iah; and Baruch wrote on a scroll of a book, at the instruction of Jeremiah, all the words of the LORD which He had spoken to him."